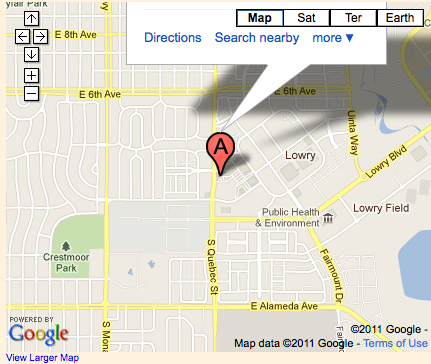 We are located in the heart of the Lowry Town Center at 2nd Ave & Quebec St, in Denver, Colorado. We are NOT affiliated with chewy dot com. Please note that self-service baths must be completed 30 minutes before the rest of the store closes so that we have time to tidy up for the next day's baths!